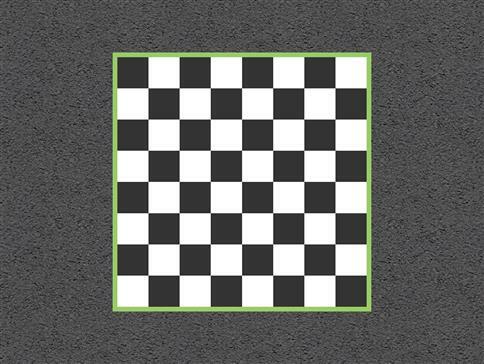 Install our fantastic Chess Thermoplastic Playground Marking in your school playground to introduce children to the classic game of chess at an early age. Studies have proven that introducing children to chess at an early age provides many benefits, such as mental clarity, mental dexterity, problem-solving skills, analytical skills, memory improvement, strategic thinking, an all-around improvement in concentration and even academic performance. Instead of buying giant chess pieces to use on the Chessboard, children can be taught to enhance their teamwork skills and play by using themselves as the pieces, replicating the movements of the king, queen, bishops, knights and pawns. By jumping from square to square, children will further develop their coordination, lower body strength, gross motor skills, balance, communication, language and listening skills. Children will naturally migrate to the board during playtimes to participate in a game of chess as apart of child-led play. The board can even be used as a morning routine activity or as a warm-up activity during P.E lessons.